Keep it Current. The first step in addressing any organizing dilemma is to lose the old stuff that has already served its purpose. Shampoo bottles with one inch of product in the bottom, hidden in the back of the cabinet three years ago? Out. 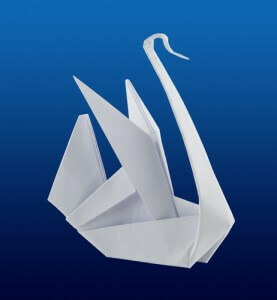 The collection of used soap pieces that you fully intend to re-purpose into a soapy origami swan creation? No. Once you’ve cleared the clutter, making sense out of what remains is easier to do. Organize. Begin by storing “like with like”: all hair products in one zone, skin care in another, both convenient to where they will be used. The goal is to reduce the “search and rescue” nature of the morning by storing things in their logical place. Keep extras and refills nearby but out of sight. Beautify. Take advantage of storage solutions such as adding shelving or baskets to an empty space. Consider storing items such as cotton balls and q-tips in clear glass jars (or, if concerns about glass in the bathroom are an issue, clear or colorful plastic jars or containers) to add a clean, consistent look to a functional need. Keep it Clean. Wash towels and bathmats weekly, and replace worn items as needed by shopping sales. 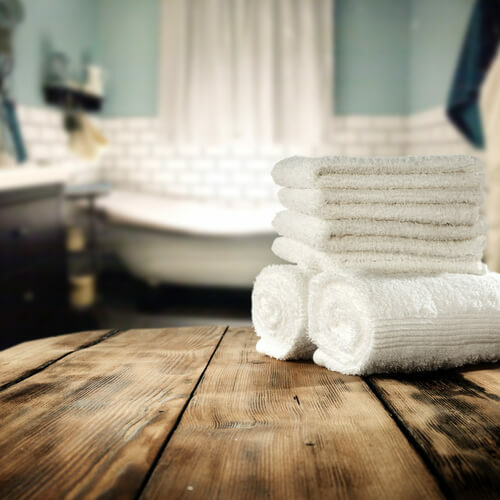 The luxury of a clean, fresh towel is not to be underestimated. 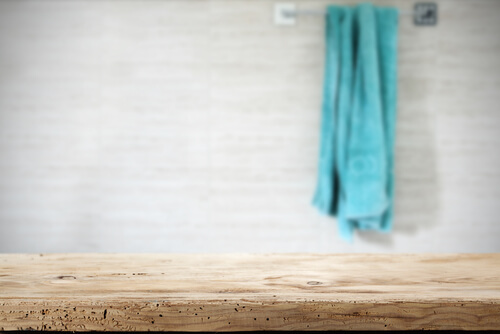 Whether your morning bathroom routine resembles a mosh pit at a heavy metal concert (teenagers, anyone?) or a private spa-like garden of serenity, it’s important that you find both comfort and beauty in your space. Small steps lead to great journeys. What can you do today? For more bathroom storage and organizing ideas, visit us on Pinterest. Dependable Divas, LLC Professional Organizers for your home, your office, your life.